Freshwater pearls are quickly becoming the most popular pearls for vendors and customers. This is due to their amazing range of colors, affordable prices and diverse and unique shapes. Freshwater pearls are cultured, meaning they are created with the help of man. The Freshwater Pearls are grown in Lakes, Ponds and Rivers and typically require from 2 – 6 years to grow. Freshwater pearls are also the most easily available and attainable; unlike other pearl oysters and mussels, freshwater pearls mussels can produce up to 50 pearls at once! High quality Freshwater pearls are cultivated mainly in China but can also be produced around the States, Scotland and Japan. Freshwater pearls are seen as whimsical and glistening due to their smooth surface and brilliant reflection and make up 90% of the pearl industry today. Freshwater pearl sizes vary from 4mm to 12mm on average and are extremely durable due to mantel tissue being inserted as the nucleus during cultivation, as opposed to a small bead, so it is 100% pearl nacre to its core. A Freshwater pearls delightful appearance of pearl is highly reliant both on its natural color as well as how light effect off its surface. Freshwater pearls are mainly seen in shades of pink, peach and lilac with shades ranging from very dark to a light overtone. Freshwater pearls are not dyed and these natural colors cannot be found in Saltwater pearls. However there are Freshwater pearls available in multicolor and white. White Freshwater pearls are produced so brilliantly these days, they are hardly discernible from the higher priced Akoya pearls. Freshwater pearls complement all colors, outfits and skin tones, due to the variety of shades that can be found. They can be paired with all styles and designs, from edgy or casual, to formal and glitzy. 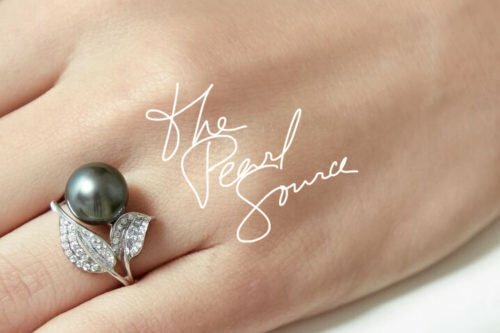 Enjoy browsing these Freshwater pearl styles and pieces and mixing and matching them with other jewelry and all kind of attire.